RAID Technical programmes are more challenging and develop divers to dive beyond recreational limits and incur decompression obligations. Building on the life support training already established in the strong RAID foundation programmes they take the diver to the next level based on time in the water and experience at depth. Technical diving is not a light subject, it demands the diver to acquire a fair amount of diving experience to understand and master conventional diving before attempting decompression and mixed gas environments. There is no quick way to safe technical diving, only time underwater and many hours of practice are some of the requirements to enter these courses. Are you ready for that commitment? The risks are greater, and the benefits are deeper! Combine your Phuket Tek course with one of our Liveaboard trips on board MV Giamani. Special packages available. Contact us now! The new RAID Sidemount course is a fully comprehensive recreational course that bridges the gap between recreational and technical teaching. 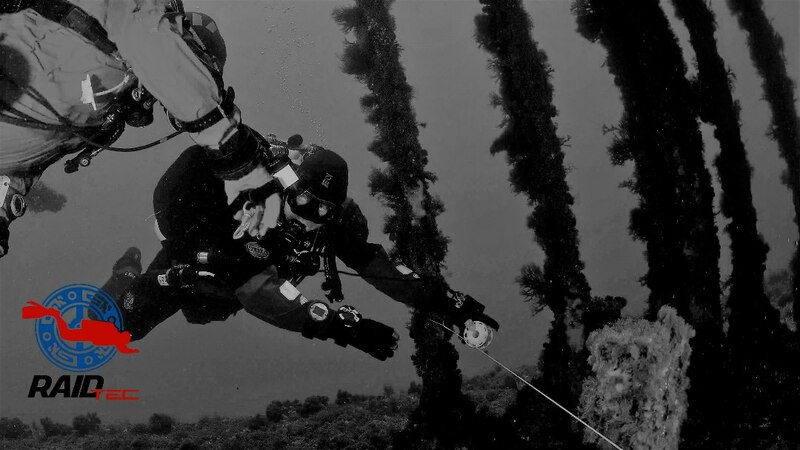 As you would expect from any RAID course, it is highly devoted to bring divers from any level of certification to have an ability to be able to hover ‘animated in suspension’ in the water. This, coupled with a series of valued skills will give any Sidemount diver the ability to be confident in their new equipment and skill set in any situation. 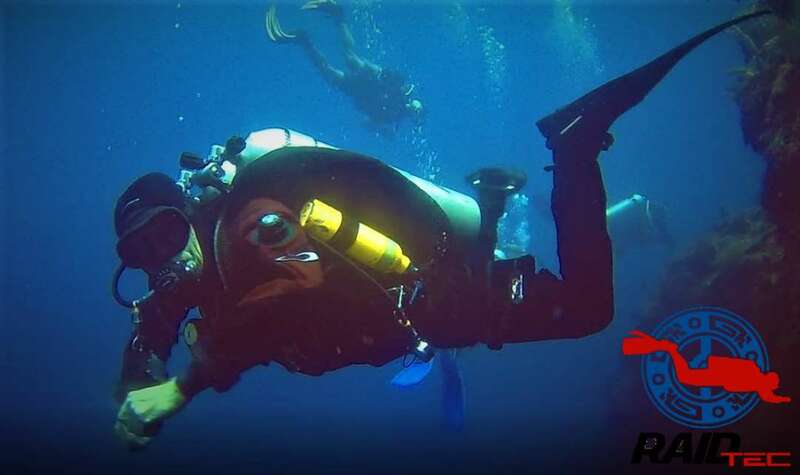 A tried and tested program, developed over 8 years from a technical and cave background, it has proven to be a huge success over the years, changing not only the divers’ physical and practical abilities but also opened up a completely new vision of awareness with technical aspects in mind. A single or twin cylinder configuration, reducing the stress off your back, making your valves now easy to access due inability to reach behind your head for those valves on a twinset, its the perfect system to link into a DECO 40 or DECO 50 program. Are you a nitrox diver and a bit frustrated with the the big thumbs up when you hit 50 bar or your pre planned turn pressure arrives and you still have over 50 minutes of NDL? Then our intro to Twinset diving may just be the answer. Having an extra 2220 litres of gas ( the same as 200 bar in a s80 ) would allow you to substantially increase your in water time as well as add huge safety margins with the added available gases. Are you thinking of going the Tek route? Then this one day workshop will give you a taste of what it feels like to wear and dive a Tek configured twinset. The one day program covers the basics like how a twin set and isolation manifold work, how to manage the valves on the twin set and introduces you to a “long hose” configuration, in the confined session we will conduct a few out of gas drills, swims and ascents and practice primary and secondary second stage reg failures. Following this we will do a dive on a reef taking full advantage of the extra gas and bottom time afforded by the twinset and nitrox. 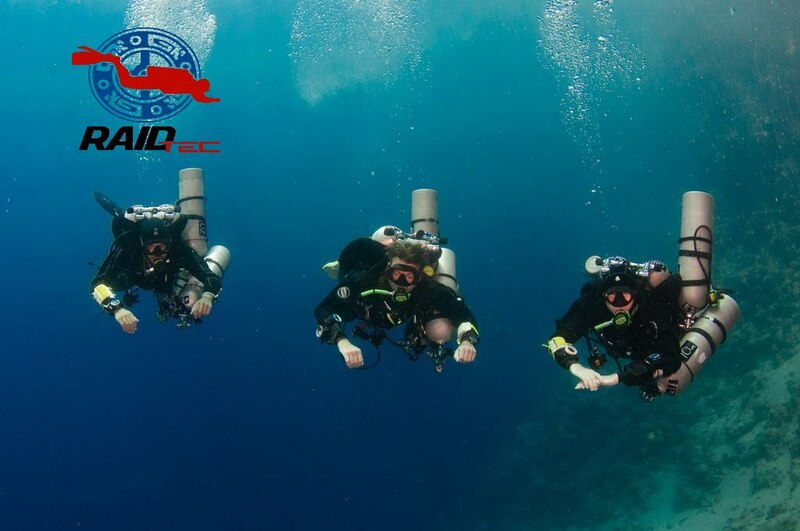 The RAID DECO 40 program forms a bridge between recreational and technical diving. The problem with technical diving is that it has marketed and positioned itself as unattainable for the average diver. Divers are led to believe they must have superhuman strength and mental agility to participate in a technical diving program. Of course, here at RAID we believe this is simply not the case, but believing and acting are two totally different things.The Deco 40 program is aimed squarely at the recreational market and not at the technical market. Most of us dive on Liveaboards for many reasons, the biggest reason of all is to get a maximum number of dives in the shortest period of time at exotic locations without the crowds associated with day trips. The Deco 40 diver gets even longer times in the water than the recreational diver. What better way to get the most out of your trip than to take the RAID DECO 40 program. To view a demonstration of some of the skills you will master during the Deco 50 program take a look at the buoyancy control and skill demonstrations presented by RAID International Training Director, Paul Toomer. Participation and success in the Deco 50 will enable you to achieve similar level of control. O 50 divers or equivalent in the use of Normoxic Trimix to depths of 60m. This course will utilize gas mixtures with Oxygen contents as low as 18% and Helium contents based on and END of 30m, to successfully complete decompression stops with the use of 2 independent deco stages with lean and rich decompression mixes up to 100%, and to complete planned decompression with no limit. Wreck diving is a fantastic experience, where you are able to see history as it was left behind, as well as the effects of nature taking over. When you go wreck diving, you will probably be able to see relics left behind when the ship sank. We see old canons, ammunition on old war vessels, cargo ships are often strewn with debris such as timber or textiles as well as all the deck debris found on-board the wreck and surrounding areas. The RAID Basic Wreck course will introduce you wreck navigation, the risks and hazards to be found outside the wreck and basic wreck surveying and wreck dive planning techniques. There is also nothing more interesting or exciting than exploring the inside of a wreck where you can still see how the sailors and passengers would have lived and worked, such as inside the captain’s cabin, crew quarters, the galley, officers mess, the bridge or engine room. The RAID Advanced Wreck course is totally overhead environment focused and goes well beyond the prerequisite Basic wreck course. The course is well suited to experienced recreational divers and those seeking comprehensive wreck penetration diving skills, along with access to more refined equipment configurations and mixed gas breathing options. It can be defined as “advanced recreational” or “tecreational” level training. The below equipment is required for all Deco Courses. Our Technical Instructor Trainer Glenn and Technical Instructor Ricardo have extensive experience in helping you purchase the right equipment before your trip departs. We will have all this and more at our soon to be opening “Tecreational” Dive Center in Chalong……wait for it! 1 x Dive Computer that switches nitrox gases(deco40) and is trimix compatible (Deco 50) and one spare depth gauge and bottom timer. 1 x Hybrid pants with pockets or drysuit with pockets. Where you plan to stay?